Let your trousers do the talking. 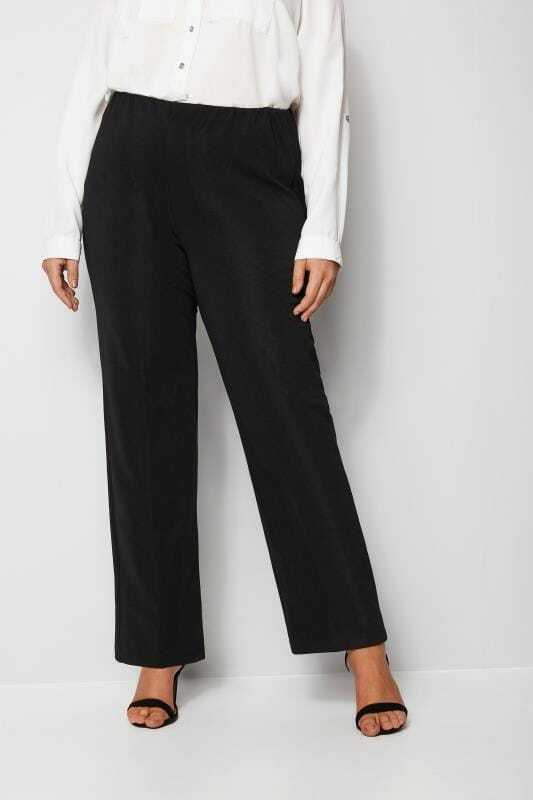 Our range of bootcut pants are expertly designed to fit your figure and flatter your shape. Ideal for formal occasions and workwear, discover your perfect look in sizes 16 to 36. Designed to flare at the waist to create a flattering hourglass shape, the skater skirt is your go-to staple this season. Stylish and versatile, it effortlessly slots into your casual, evening or workwear wardrobe. From office to weekend, check out our style guide for tips on how to wear yours. Give your casual look a style update with a plus size skater skirt from our new-season collection. Crafted from a comfortable jersey fabric, our garments are the perfect throw-on-and-go for everyday wear. In monochrome and bright color palettes, choose from maxi or midi skater skirts to find your perfect look in sizes 14 to 34. Tap into a party-ready look with our collection of plus size a-line skirts and high waisted skater skirts. From midi to maxi lengths, our new-season range offers a variety of styles including floral prints, pastel hues and lace fabrics. Style your skater skirt with a cami top, heels and a clutch for a chic going-out ensemble. Smarten up in style with a skater skirt from our workwear collection. Timeless and versatile, choose from a selection of monochrome or more neutral designs for an office-ready look. Opt for a chic midi length skater skirt and pair with a blazer to give your look a sophisticated feel.